I'm all about a good party. Sign me up as long as I don't have to plan it. The planning part always falls through the cracks for me. Time just slips away. Before I know it, the holiday is here and I've done zero prep. New Years Eve is upon us and once again I've done zero prep. I know I can't be alone in this so I've put together some last minute ideas for a fun night with the family! My kids love drinks. 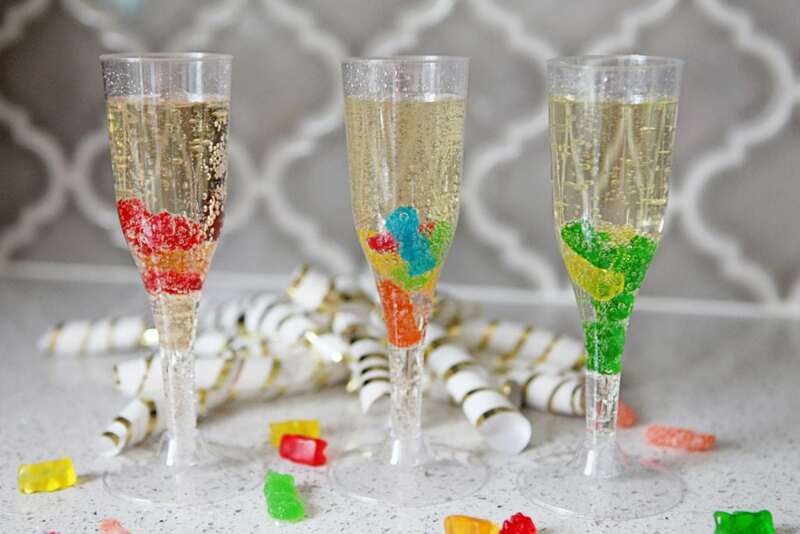 Give them some fancy cups and fun ingredients and you've got a night of creativity. Make it even more fun and let them create drinks for you! Reflect on the past year with this printable game. Take turns answering each question and see what stood out for each of you this past year. Each hour calls for a new balloon to be popped. I have a feeling this is going to be the highlight of the night. Get crafty with the littles and create an easy, mess-free pinata! They'll love decorating it as well as smashing it when the time comes. Get out those Pj's, board games and snack. Settle in for the night and just be. You could also take some time to plan trips, goals and service ideas for the next year. Have fun planning a fantastic New Year’s Eve! Be sure to tag us in any social media posts with #cocoandkiwi!